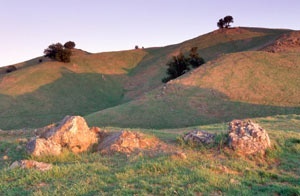 Marin County is one of the most desirable places to live in the country and a large part of its desirability is that almost 50% of Marin is undeveloped open space. Marin’s bounty of open space makes it a beautiful place to live but also makes undeveloped lots hard to find. Most of marin has been developed and the few remaining parcels of land have large price tags on them. Most buyers looking to build a custom home will have more options if they look for “fixer-upper” homes on large, desirable lots. Below we have listed land that is available in marin right now. Please contact us for more information regarding the best ways to find a lot to build your dream home.